NEW! 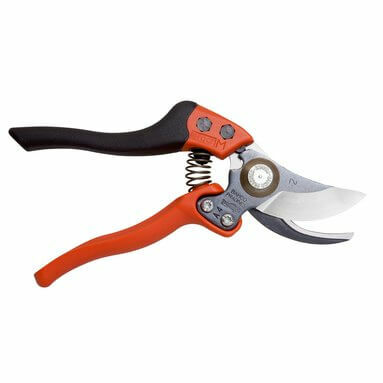 Bahco PX-S2 Ergo Bypass Secateurs - Small - 20mm Capacity. Bahco bypass secateurs - small. Ideal for pruning with minimum effort thanks to elastomer coated handles and the inclinations of the cutting head. Maximum comfort due to Bahco's ERGO™ design. Hollow inner face of the blade allows for reduced friction. Improved blade - stays sharp for longer. Size and shape of the cutting head and handles can be adapted to hand size. Vertical and lateral inclinations of cutting head allow pruning with a straight wrist. Handles made of composite material with soft rubber. Also available in Medium: BPX-M2.